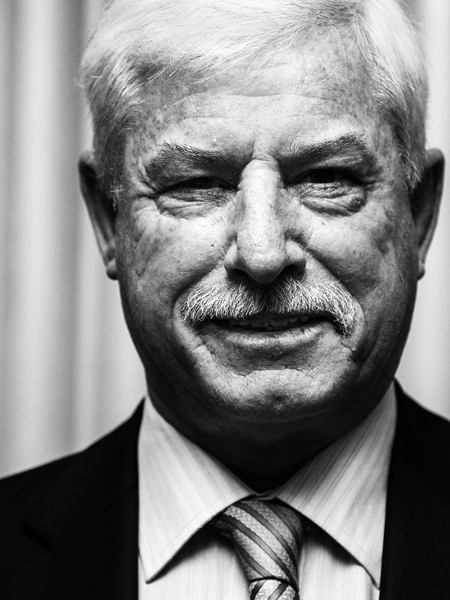 There was a time when Sir Richard Hadlee was the Everest among bowlers, and his Test haul of 431 wickets in 86 matches the summit that everyone aspired to scale. The master of swing and guile, there was nothing that he couldn’t make the ball do. 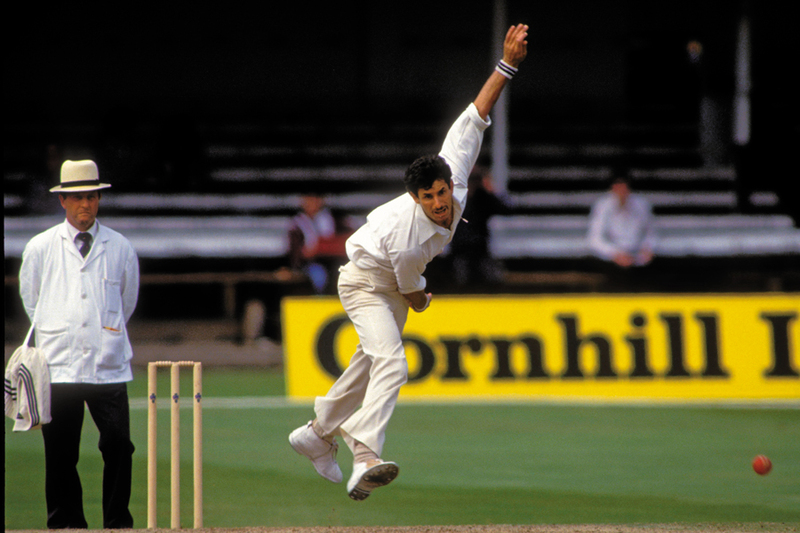 During his days, New Zealand was one of the weaker Test-playing nations, but Hadlee’s exploits got them the headlines through the 1970s and ’80s. One of his most memorable performances came in 1985, when the Black Caps legend ran through the venerable Aussie batting line-up in the first Test at the Gabba in Brisbane, with 15 wickets, fetching New Zealand an innings victory. While he was the first cricketer to breach the 400-wicket milestone in Test cricket, Hadlee was also more than a handy batsman, scoring two Test centuries and earning the moniker of one of the finest all-rounders of his time. He retired from the game in 1990, and although Peak Hadlee has been conquered since (he now ranks 8th on the list of highest Test wicket-takers), the name still evokes respect and adulation as it did a quarter of a century ago. Q. On your first trip to India in 1976, you vowed never to come back, thanks to the heat and humidity, and a few dubious umpiring decisions. Eventually when you returned in 1988, you and your teammates came down with a severe stomach bug, but this was also where you overtook Ian Botham’s record of maximum Test wickets. Despite a bad start, has the country redeemed itself subsequently? 1976 was a difficult time. I was 25 and never been to this part of the world. We trained and practised for the tour in cold and wintry conditions in August. And when we came to play in October, it was a real-eye opener. It was difficult to deal with the heat and humidity. But when we came back in 1988, the conditions were a lot better and the world record was an important milestone for me. I finished playing in 1990 and since then have returned to India 10 or 11 times. Not having to stay out in the open helped [smiles]. Now, I’ve discovered India and what a magnificent place it is. I love the culture, the people and the tremendous respect that I’m given. I’ve really enjoyed coming back. Plus, it gives me a great opportunity to catch up with friends—like Kapil Dev, Bishan Singh Bedi, Venkataraghavan—and reminisce about old days. Q. In the ’80s, along with Kapil, Botham and Imran [Khan], you were considered one of the four greatest all-rounders of your time. But these days we don’t see too many all-rounders of your calibre. Do you think this has got something to do with the way the game has evolved and has given the batsmen an edge? To be a great all-rounder, you’ve got to be very efficient with both sets of skills. You can turn a match with either skill or both. Kapil, Ian, Imran and I were all similar sort of players in this regard, and had a good rivalry going amongst us. The game has moved on since. I understand that 50-over cricket and [now] T20 are essential, because they bring in the revenue. But the shorter formats are high-risk games, where the batsmen are required to be innovative and creative, and play shots that we would never think of playing in the ’70s and ’80s. With big bats and short boundaries, it’s become a difficult game for the bowlers as they have to keep coming up with variations to combat the batsmen. There is room for all three formats of the game but I hate it when one format takes over from another. T20 is entertainment for sure, and I enjoy watching it, but I don’t know whether I would enjoy playing it. Q. How can the bowlers innovate too to create an impact in the shorter formats? It’s tough. When you don’t have slips, you don’t have fielders in catching positions, you anyway start defensively. Sometimes, instead of taking wickets, you aim to bowl a dot ball, or put the ball in an area where a batsman can’t pick up a run or just a single maybe. But the batsmen are so crafty that they move around the crease and whack it. The number of sixes that get hit these days is quite unbelievable. If a bowler misses his length or line by just a few inches, he is severely punished. Having said that, they can still get wickets. Particularly spin bowlers who are a very important component of the T20 game, because they can take the pace off the ball and force the batsmen to leave the crease and come down the wicket. That way, they can induce mistakes. It’s a real cat-and-mouse game. Q. You were considered one of the wiliest bowlers. What would your strategy be if you were playing against the likes of AB de Villiers or Virat Kohli? I don’t have an answer because whatever I’d do would be irrelevant; because they would probably combat me anyway, the skilled players that they are. If we are talking hypothetically, I’d like to think that I could knock them over, and they’ll say that they’ll dominate me, just like they do to other bowlers. Q. While you were at the peak of your career in the ’80s, you were also fighting depression. With stakes in international cricket getting higher, mental illness has started to come out in the open. Marcus Trescothick went through it in 2006-07; another English player, Jonathan Trott, quit the game twice for similar reasons. What lessons did you take away from your tough times that would help modern players handle the pressures of the game better? Firstly, they’ve got to recognise that they’ve got a problem. Don’t hide it, tell people that you’ve got a problem, and take some time out. Stress and pressure can affect your health and there’s nothing to be afraid of it. Be positive and seek help from professionals. Getting it out there releases the tension. For me it came at a time when I was keeping very busy for six months by saying yes to everybody, appearing at various events, etc. Suddenly, I had a heatstroke and heart palpitations, and I started to get into a negative state of mind. But you have to push out of it, turn around, and learn from the experience. It took me six to eight months, but eventually I got back on the field and started playing again. Q. What’s your most abiding memory of cricket? One of the most lovely moments of my life came during my last tour, to England in 1990. It had been announced prior to the second Test match at Lord’s that I was going to be knighted for my services to New Zealand cricket. On the first morning of the match, captain John Wright asked me to lead the team on to the field. To do that at the home of cricket... there couldn’t have been a greater honour. The scoreboard on the ground read Sir Richard. That’s a lasting memory for me, because it was recognition for what I had done for 18 years.